KBB Fair Market Range Low: $36,307 Priced below KBB Fair Purchase Price! 2019 Ram 1500 Classic Express Crystal Metallic 4D Quad Cab 3.6L V6 24V VVT 8-Speed Automatic 4WD To see more vehicles like this one right here just click on http://www.saltlakevalleychryslerdodgeramjeep.com/ or dial 801-484-8755. Price may include: $1,000 - West 2019 Bonus Cash WECKA. Exp. 04/30/2019, $500 - 2019 Retail Bonus Cash WECKA1. Exp. 04/30/2019, $1,000 - Chrysler Capital 2019 Bonus Cash WECK5. Exp. 04/30/2019, $2,000 - 2019 Retail Consumer Cash 70CK1. Exp. 04/30/2019 *Sales price includes $1,000 finance discount. You must finance with Ally Bank, Chrysler Capital or one of our Credit Unions to obtain the $500-1000 finance discount. Factory subsidized interest rate loans are not eligible. If you do not finance or lease, then you are not eligible for the $1000 finance discount and your sale price will increase by $500-1000. Internet price and payments subject to change at Dealer disgression. Check with dealer for most updated information. KBB Fair Market Range Low: $37,457 Priced below KBB Fair Purchase Price! 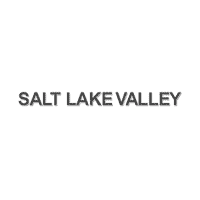 2019 Ram 1500 Classic Express Bright White Clearcoat 4D Quad Cab 3.6L V6 24V VVT 8-Speed Automatic 4WD To see more vehicles like this one right here just click on http://www.saltlakevalleychryslerdodgeramjeep.com/ or dial 801-484-8755. Price may include: $1,000 - West 2019 Bonus Cash WECKA. Exp. 04/30/2019, $500 - 2019 Retail Bonus Cash WECKA1. Exp. 04/30/2019, $1,000 - Chrysler Capital 2019 Bonus Cash WECK5. Exp. 04/30/2019, $2,000 - 2019 Retail Consumer Cash 70CK1. Exp. 04/30/2019 *Sales price includes $1,000 finance discount. You must finance with Ally Bank, Chrysler Capital or one of our Credit Unions to obtain the $500-1000 finance discount. Factory subsidized interest rate loans are not eligible. If you do not finance or lease, then you are not eligible for the $1000 finance discount and your sale price will increase by $500-1000. Internet price and payments subject to change at Dealer disgression. Check with dealer for most updated information. KBB Fair Market Range Low: $36,497 Priced below KBB Fair Purchase Price! 2019 Ram 1500 Tradesman Bright White Clearcoat 4D Quad Cab 3.6L V6 24V VVT 8-Speed Automatic 4WD To see more vehicles like this one right here just click on http://www.saltlakevalleychryslerdodgeramjeep.com/ or dial 801-484-8755. Price may include: $1,500 - 2019 Retail Bonus Cash WECKA1. Exp. 04/30/2019, $500 - Chrysler Capital 2019 Bonus Cash WECK5. Exp. 04/30/2019, $1,000 - 2019 Retail Consumer Cash 70CK1. Exp. 04/30/2019 *Sales price includes $1,000 finance discount. You must finance with Ally Bank, Chrysler Capital or one of our Credit Unions to obtain the $500-1000 finance discount. Factory subsidized interest rate loans are not eligible. If you do not finance or lease, then you are not eligible for the $1000 finance discount and your sale price will increase by $500-1000. Internet price and payments subject to change at Dealer disgression. Check with dealer for most updated information. KBB Fair Market Range Low: $36,678 Priced below KBB Fair Purchase Price! 2019 Ram 1500 Tradesman Billet Silver Metallic 4D Quad Cab 3.6L V6 24V VVT 8-Speed Automatic 4WD To see more vehicles like this one right here just click on http://www.saltlakevalleychryslerdodgeramjeep.com/ or dial 801-484-8755. Price may include: $1,500 - 2019 Retail Bonus Cash WECKA1. Exp. 04/30/2019, $500 - Chrysler Capital 2019 Bonus Cash WECK5. Exp. 04/30/2019, $1,000 - 2019 Retail Consumer Cash 70CK1. Exp. 04/30/2019 *Sales price includes $1,000 finance discount. You must finance with Ally Bank, Chrysler Capital or one of our Credit Unions to obtain the $500-1000 finance discount. Factory subsidized interest rate loans are not eligible. If you do not finance or lease, then you are not eligible for the $1000 finance discount and your sale price will increase by $500-1000. Internet price and payments subject to change at Dealer disgression. Check with dealer for most updated information. KBB Fair Market Range Low: $36,674 Priced below KBB Fair Purchase Price! 2019 Ram 1500 Tradesman Crystal Metallic 4D Quad Cab 3.6L V6 24V VVT 8-Speed Automatic 4WD To see more vehicles like this one right here just click on http://www.saltlakevalleychryslerdodgeramjeep.com/ or dial 801-484-8755. Price may include: $1,500 - 2019 Retail Bonus Cash WECKA1. Exp. 04/30/2019, $500 - Chrysler Capital 2019 Bonus Cash WECK5. Exp. 04/30/2019, $1,000 - 2019 Retail Consumer Cash 70CK1. Exp. 04/30/2019 *Sales price includes $1,000 finance discount. You must finance with Ally Bank, Chrysler Capital or one of our Credit Unions to obtain the $500-1000 finance discount. Factory subsidized interest rate loans are not eligible. If you do not finance or lease, then you are not eligible for the $1000 finance discount and your sale price will increase by $500-1000. Internet price and payments subject to change at Dealer disgression. Check with dealer for most updated information. KBB Fair Market Range Low: $43,890 Priced below KBB Fair Purchase Price! 2019 Ram 1500 Classic Big Horn Bright White Clearcoat 4D Crew Cab HEMI 5.7L V8 Multi Displacement VVT 8-Speed Automatic 4WD To see more vehicles like this one right here just click on http://www.saltlakevalleychryslerdodgeramjeep.com/ or dial 801-484-8755. Price may include: $1,750 - West 2019 Bonus Cash WECKA. Exp. 04/30/2019, $2,000 - 2019 Retail Bonus Cash WECKA1. Exp. 04/30/2019, $1,000 - Chrysler Capital 2019 Bonus Cash WECK5. Exp. 04/30/2019, $1,500 - West BC Trade Assist Bonus Cash WECKM. Exp. 04/30/2019, $2,000 - 2019 Retail Consumer Cash 70CK1. Exp. 04/30/2019 *Sales price includes $1,000 finance discount. You must finance with Ally Bank, Chrysler Capital or one of our Credit Unions to obtain the $500-1000 finance discount. Factory subsidized interest rate loans are not eligible. If you do not finance or lease, then you are not eligible for the $1000 finance discount and your sale price will increase by $500-1000. Internet price and payments subject to change at Dealer disgression. Check with dealer for most updated information. KBB Fair Market Range Low: $43,473 Priced below KBB Fair Purchase Price! 2019 Ram 1500 Classic Lone Star Bright White Clearcoat 4D Crew Cab HEMI 5.7L V8 Multi Displacement VVT 8-Speed Automatic 4WD To see more vehicles like this one right here just click on http://www.saltlakevalleychryslerdodgeramjeep.com/ or dial 801-484-8755. Price may include: $1,750 - West 2019 Bonus Cash WECKA. Exp. 04/30/2019, $2,000 - 2019 Retail Bonus Cash WECKA1. Exp. 04/30/2019, $1,000 - Chrysler Capital 2019 Bonus Cash WECK5. Exp. 04/30/2019, $1,500 - West BC Trade Assist Bonus Cash WECKM. Exp. 04/30/2019, $2,000 - 2019 Retail Consumer Cash 70CK1. Exp. 04/30/2019 *Sales price includes $1,000 finance discount. You must finance with Ally Bank, Chrysler Capital or one of our Credit Unions to obtain the $500-1000 finance discount. Factory subsidized interest rate loans are not eligible. If you do not finance or lease, then you are not eligible for the $1000 finance discount and your sale price will increase by $500-1000. Internet price and payments subject to change at Dealer disgression. Check with dealer for most updated information. KBB Fair Market Range Low: $43,534 Priced below KBB Fair Purchase Price! 2019 Ram 1500 Classic Big Horn Bright White Clearcoat 4D Crew Cab HEMI 5.7L V8 Multi Displacement VVT 8-Speed Automatic 4WD To see more vehicles like this one right here just click on http://www.saltlakevalleychryslerdodgeramjeep.com/ or dial 801-484-8755. Price may include: $1,750 - West 2019 Bonus Cash WECKA. Exp. 04/30/2019, $2,000 - 2019 Retail Bonus Cash WECKA1. Exp. 04/30/2019, $1,000 - Chrysler Capital 2019 Bonus Cash WECK5. Exp. 04/30/2019, $1,500 - West BC Trade Assist Bonus Cash WECKM. Exp. 04/30/2019, $2,000 - 2019 Retail Consumer Cash 70CK1. Exp. 04/30/2019 *Sales price includes $1,000 finance discount. You must finance with Ally Bank, Chrysler Capital or one of our Credit Unions to obtain the $500-1000 finance discount. Factory subsidized interest rate loans are not eligible. If you do not finance or lease, then you are not eligible for the $1000 finance discount and your sale price will increase by $500-1000. Internet price and payments subject to change at Dealer disgression. Check with dealer for most updated information. KBB Fair Market Range Low: $43,714 Priced below KBB Fair Purchase Price! 2019 Ram 1500 Classic Big Horn Brilliant Black Crystal Pearlcoat 4D Crew Cab HEMI 5.7L V8 Multi Displacement VVT 8-Speed Automatic 4WD To see more vehicles like this one right here just click on http://www.saltlakevalleychryslerdodgeramjeep.com/ or dial 801-484-8755. Price may include: $1,750 - West 2019 Bonus Cash WECKA. Exp. 04/30/2019, $2,000 - 2019 Retail Bonus Cash WECKA1. Exp. 04/30/2019, $1,000 - Chrysler Capital 2019 Bonus Cash WECK5. Exp. 04/30/2019, $1,500 - West BC Trade Assist Bonus Cash WECKM. Exp. 04/30/2019, $2,000 - 2019 Retail Consumer Cash 70CK1. Exp. 04/30/2019 *Sales price includes $1,000 finance discount. You must finance with Ally Bank, Chrysler Capital or one of our Credit Unions to obtain the $500-1000 finance discount. Factory subsidized interest rate loans are not eligible. If you do not finance or lease, then you are not eligible for the $1000 finance discount and your sale price will increase by $500-1000. Internet price and payments subject to change at Dealer disgression. Check with dealer for most updated information. KBB Fair Market Range Low: $43,653 Priced below KBB Fair Purchase Price! 2019 Ram 1500 Classic Lone Star Brilliant Black Crystal Pearlcoat 4D Crew Cab HEMI 5.7L V8 Multi Displacement VVT 8-Speed Automatic 4WD To see more vehicles like this one right here just click on http://www.saltlakevalleychryslerdodgeramjeep.com/ or dial 801-484-8755. Price may include: $1,750 - West 2019 Bonus Cash WECKA. Exp. 04/30/2019, $2,000 - 2019 Retail Bonus Cash WECKA1. Exp. 04/30/2019, $1,000 - Chrysler Capital 2019 Bonus Cash WECK5. Exp. 04/30/2019, $1,500 - West BC Trade Assist Bonus Cash WECKM. Exp. 04/30/2019, $2,000 - 2019 Retail Consumer Cash 70CK1. Exp. 04/30/2019 *Sales price includes $1,000 finance discount. You must finance with Ally Bank, Chrysler Capital or one of our Credit Unions to obtain the $500-1000 finance discount. Factory subsidized interest rate loans are not eligible. If you do not finance or lease, then you are not eligible for the $1000 finance discount and your sale price will increase by $500-1000. Internet price and payments subject to change at Dealer disgression. Check with dealer for most updated information. KBB Fair Market Range Low: $44,098 Priced below KBB Fair Purchase Price! 2019 Ram 1500 Classic Lone Star granite crystal metallic clearcoat 4D Crew Cab HEMI 5.7L V8 Multi Displacement VVT 8-Speed Automatic 4WD To see more vehicles like this one right here just click on http://www.saltlakevalleychryslerdodgeramjeep.com/ or dial 801-484-8755. Price may include: $1,750 - West 2019 Bonus Cash WECKA. Exp. 04/30/2019, $2,000 - 2019 Retail Bonus Cash WECKA1. Exp. 04/30/2019, $1,000 - Chrysler Capital 2019 Bonus Cash WECK5. Exp. 04/30/2019, $1,500 - West BC Trade Assist Bonus Cash WECKM. Exp. 04/30/2019, $2,000 - 2019 Retail Consumer Cash 70CK1. Exp. 04/30/2019 *Sales price includes $1,000 finance discount. You must finance with Ally Bank, Chrysler Capital or one of our Credit Unions to obtain the $500-1000 finance discount. Factory subsidized interest rate loans are not eligible. If you do not finance or lease, then you are not eligible for the $1000 finance discount and your sale price will increase by $500-1000. Internet price and payments subject to change at Dealer disgression. Check with dealer for most updated information.